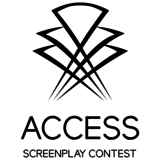 Looking for the best screenwriting contests? The Writers Store has online writing competitions with top prizes, including scriptwriting software, screenplay development notes and more. Plus, you’ll find writing advice and free writing classes on how to write a winning screenplay, so you’ll be ready for all the major screenwriting competitions and film festivals.